Family-owned since 1944, Gateway Safety is one of the oldest and most successful manufacturers of personal safety equipment in the United States. Originally founded as a manufacturer of welding eye protection, our business has evolved into ‘above-the-shoulders’ personal protection equipment. 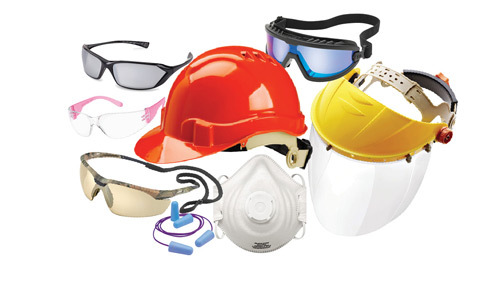 This includes eye protection, face protection, head protection, hearing protection, and disposable respiratory protection. Gateway Safety understands that worker compliance is the key to any successful safety program. Studies show that style and comfort are the keys to worker compliance. Armed with this knowledge, Gateway Safety has invested considerable resources into our product development effort and, as a result, we’ve become known as the place ‘Where Safety Meets Style.’ Gateway Safety designs and manufactures many extremely popular safety products. This includes StarLite® safety glasses, which has been embraced by the entire safety industry. The StarLite design is the best-selling safety eyewear product in the United States. Of course, worker safety is still at the heart of Gateway Safety’s mission. While many of our competitors take shortcuts to reduce costs and improve their profit margins, Gateway Safety products are engineered to perform better than is required by the ANSI standards. As evidence of this commitment to worker safety, Gateway Safety partners with several third-party testing laboratories who independently certify that our products meet the appropriate standards. It’s not required by ANSI or OSHA. However, Gateway Safety does this to prove to our customers that our products measure up against virtually any other product in the industry. Read more about independent testing here. As a result of this commitment to style, comfort, and safety, many companies partner with Gateway Safety to protect their most valuable asset… their people. Request more information here.